1. MOST CLICKED LINK: Adorable Crochet Pumpkins by Malloo Knits – Super cute and easy FREE crochet pattern with photo tutorial! 2. Newsprint Granny Stitch Shawl by Make & Do Crew – Modern, classic, and a FREE crochet pattern! 3. Crochet Hooded Sweater Vest by Hooked on Homemade Happiness – A FREE crochet pattern in 3 sizes, perfect for the changing season! 4. Amazing Grace Simple Slouchy by Beatrice Ryan Designs – This FREE crochet pattern is 22nd in the Amazing Grace Series that is dedicated to Breast Cancer Awareness- wow!! 5. 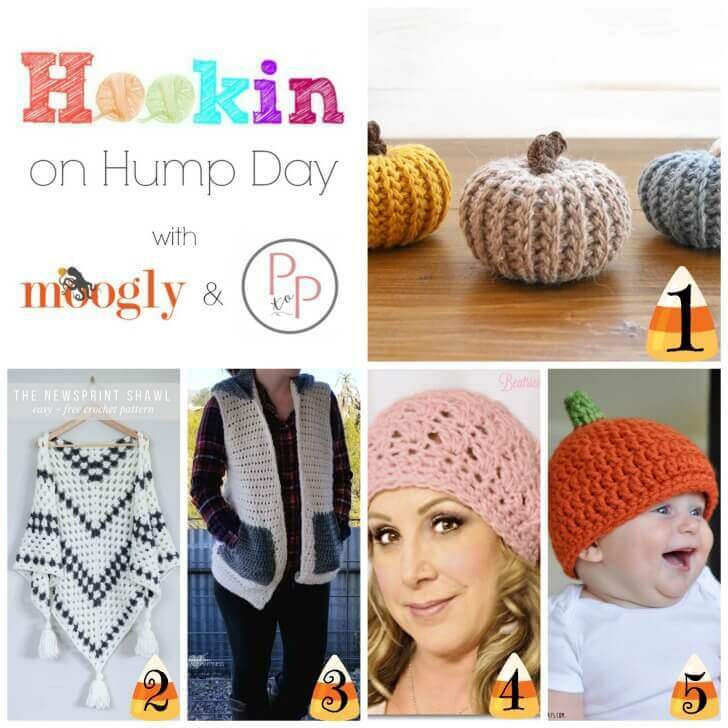 Crocheted Pumpkin Hat by The Crafty Cats – Super cute FREE crochet pattern in 2 sizes! Thank you for hosting this wonderful link up! I’m always inspired by the wonderful projects shared here!